At Vital Venture Networks, René focuses on Life Sciences and Clean Tech strategy, business development, and marketing for clients. Prior to joining VVN, René was the Chief Business Officer at the New York Academy of Sciences, where he led all aspects of business strategy and business development and created alliances in the U.S. and internationally with leading universities, governments, and multinational corporations, financial firms and NGO’s in pharmaceuticals, biotech, clean technologies, real estate, IT, electronics, consumer goods and other areas. René also initiated and led the Academy’s “Science Meets Business” initiative and created and co-led its Science & Technology Innovation and Economic Development advisory practices. His past and current advisory engagements include extensive work for New York State, assessing its R&D activities broadly as well as its clean tech programs, and in recommending investment opportunities and public/private partnership and innovation models to the Governor’s Renewable Energy Task Force for inclusion in the Governor’s Energy Plan. He has also been engaged in projects in India, Russia, and Latin America. 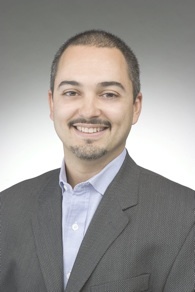 Previously, René was an Associate Director at Columbia University’s Science & Technology Ventures, where he was responsible for identifying promising emerging technologies, protecting intellectual property, and negotiating licenses and research collaborations with established or startup companies in the areas of biotechnology, biomedical informatics, medical devices, and nanobiotechnology. René was also the co-founder, Vice President of Business Development, and acting CTO of Medihub, a New York based provider of software and consulting services to the medical industry. René founded Medihub after spending several years in the technology enablement and business transformation divisions of Ernst & Young's Healthcare Consulting Group. He was one of the founding members of the E&Y e-Health Incubator Team. Before making the transition to industry, he received a graduate degree from the Biomedical Informatics Program at Columbia University, where he performed research on the application and development of controlled medical terminologies. He also spent several years performing neurobiology research in the laboratory of Nobel Laureate Eric Kandel at the Columbia University Center for Neurobiology and Behavior. René is a member of the Board of Advisors for the Columbia University Center for Advanced Technology, the Advisory Board of the Liberty Science Center, and a Board Member of the Knowledge Economy Institute. He has also served an advisor to the NY Battery and Energy Storage Technology Consortium. He has been interviewed by major publications such as Newsweek and Nature, has spoken at numerous U.S. and international conferences and moderated workshops and discussions on innovation, entrepreneurship, university/industry collaborations, economic development, and technology transfer.